Attractions of Kuta Beach always gives a different sensation every year. Sometimes the sensation that there is in this beach is a pile of garbage, sometimes there are performances surf, and so forth. On Sunday, December 21, 2014, the atmosphere at attraction of Kuta Beach looks very bright and clean. Travelers seen playing in the sea water, children and adults love to play water at Kuta Beach. The condition looks very clean sea water, whereas a few days ago in the print media reported that Kuta beach was covered with trash. The sea water is also seen ebbs and very quiet. Looks shallow sea, but the red flag was still attached. Seen a lot of tourists play water in the sea, Kuta Beach looks crowded, although the weather was very hot. Because by the time this picture was taken, the time of day with the very hot sun. Most tourists just sit in the shade under an umbrella. Many tourists who take shelter under trees found along the coast. Only tourists from western countries have seen the sun bathing. Ocean waves are not too big, not suitable for playing surfing. So that no tourist who play surfing. Only a few tourists who learn to surf with a guide. Children also cool to use a small surfboard to have fun while playing water. 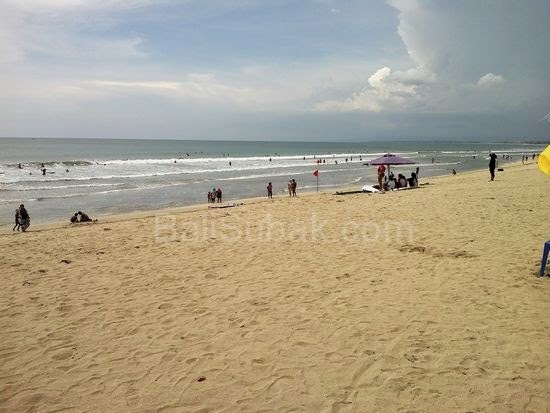 In hot weather in the rainy season, attraction of Kuta Beach is a compassionate place for a fun filled vacation. The end of this year is estimated thousands of tourists will come to Kuta. 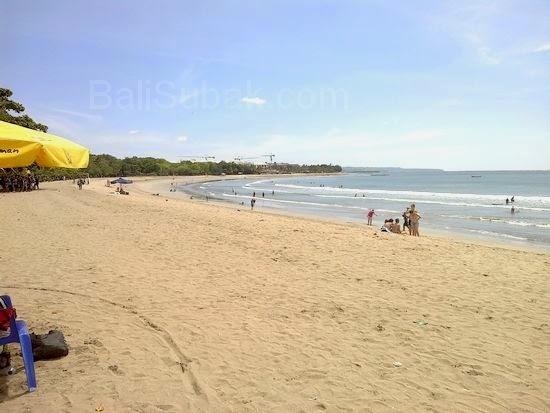 Kuta Beach always give unforgettable charm for tourists who 've been in this place.